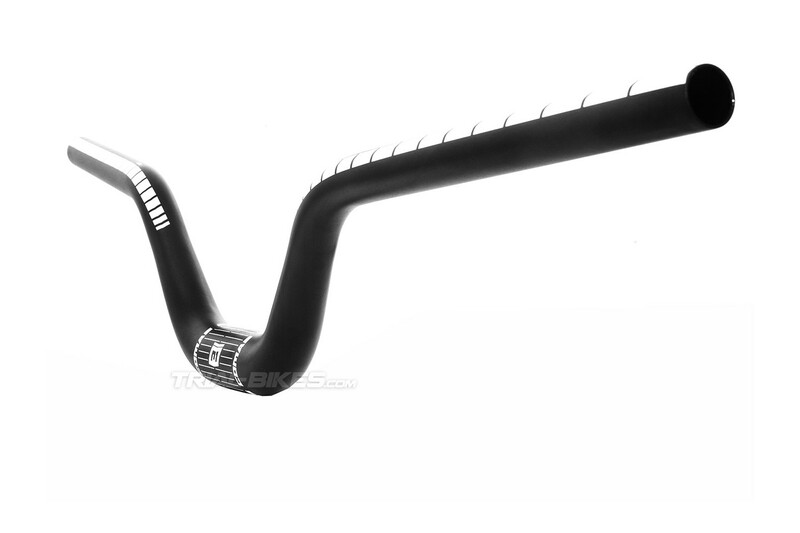 Comas 7075 bike trials handlebar. 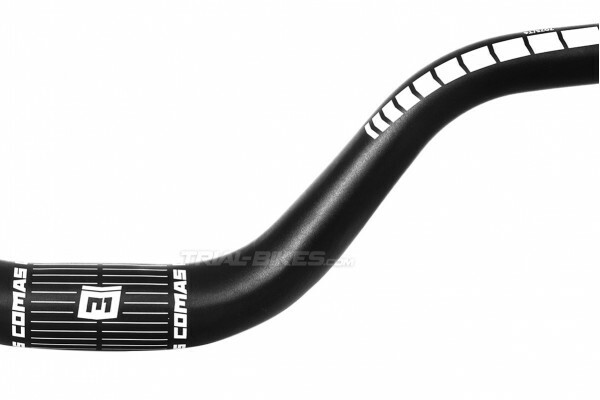 Featuring a unique design with super high curvature and rise, developed for bike trials by Comas team riders Sergi Llongueras, Vincent Hermance and Eloi Palau. 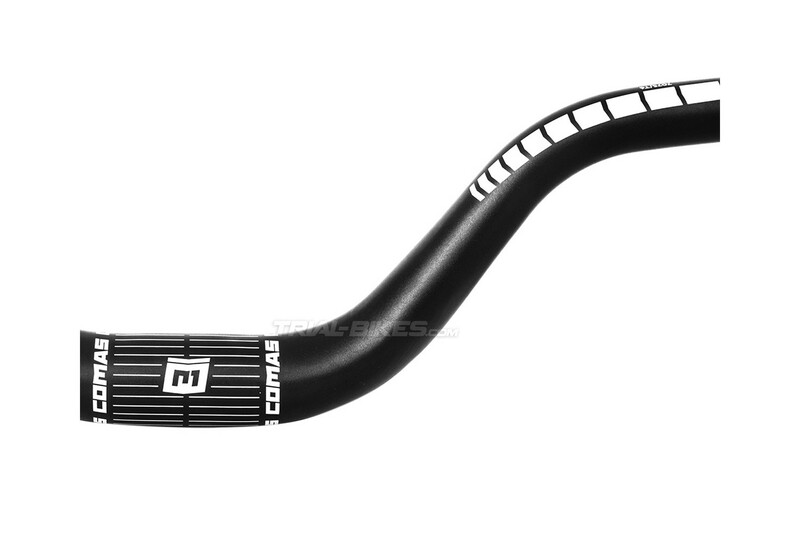 - Comas 7075 bike trials aluminium handlebar from young brand Comas, created by Biketrials World Champion Dani Comas. - Developed and tested by Comas team riders Sergi Llongueras, Vincent Hermance and Eloi Palau. - Made of 7075-T6 aluminium alloy, using 3 thicknesses for a perfect balance between low weight and high strength and stiffness. 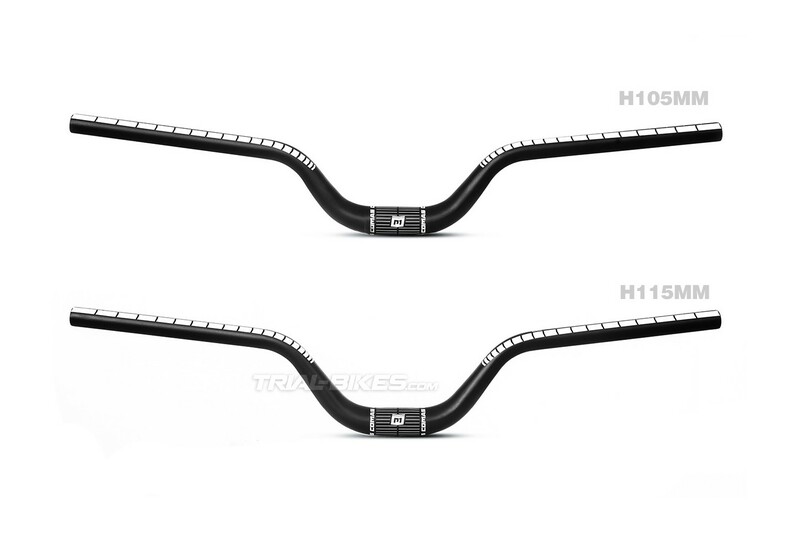 - Its high-rise exclusive geometry allows the use of a shorter stem while keeping the handlebar in a comfortable, natural position. - Markings under the grip area help aid with cutting down to the desired length. · 105mm rise. Ideal for 20” bikes (high position) and 26” bikes (mid position). · 115mm rise. Ideal for 26” bikes (high position). - Anodized black, with white laser etched Comas graphics.